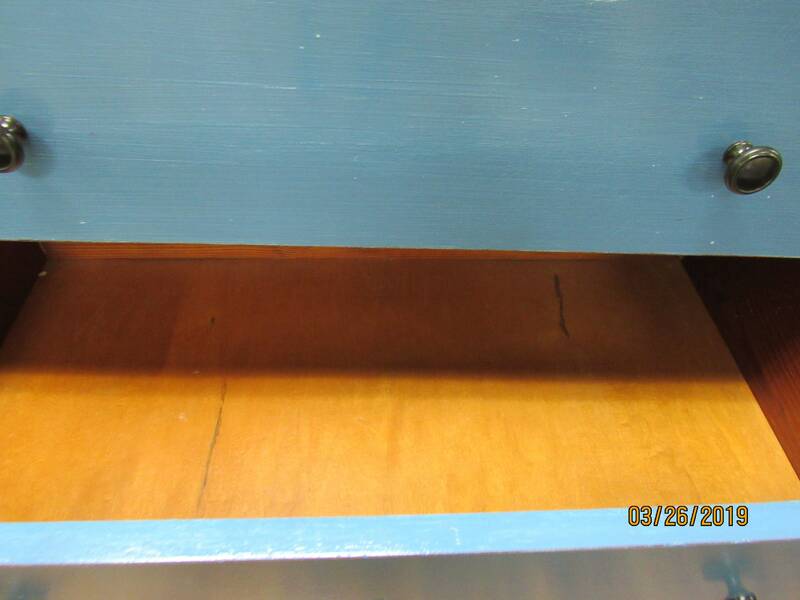 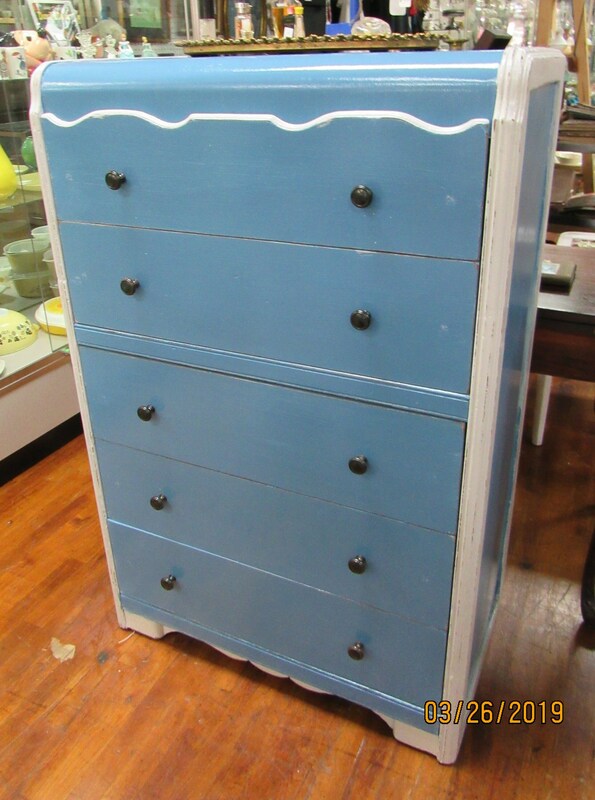 Beautiful waterfall art deco tall dresser, restyled blue with white accents, slightly distressed, five big drawers, dovetailed and slide smoothly, 32 X 17 X 40", excellent condition. 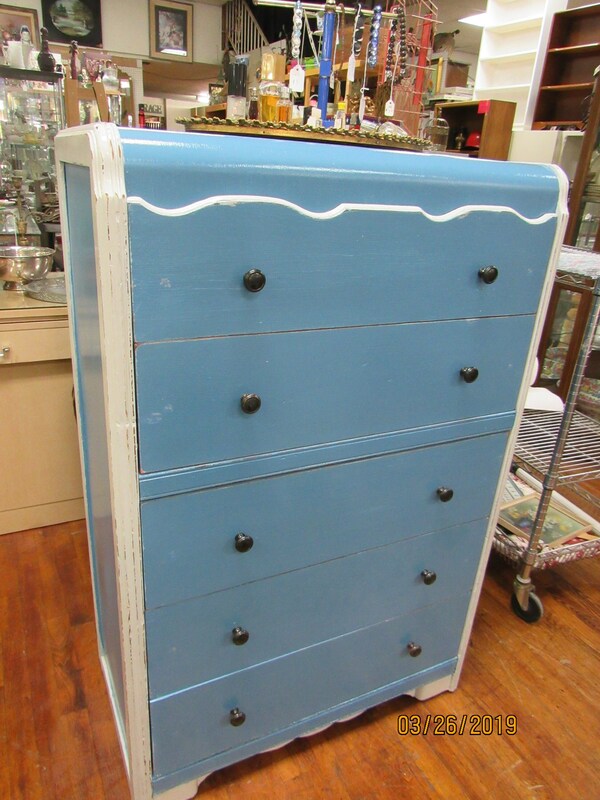 Street Faire Antiques is located at 1317 Sartori Ave., Torrance, CA 90501. 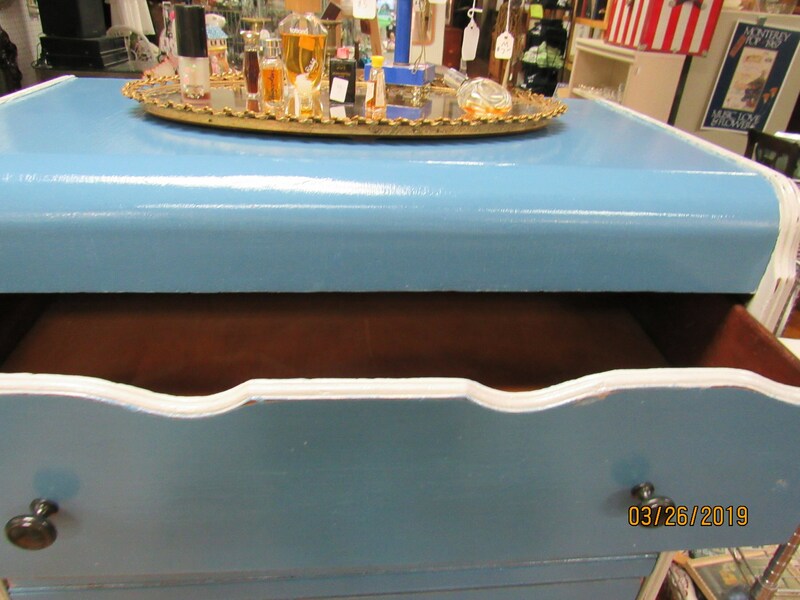 We are open Monday through Saturday from 11 to 7, Sundays from 9 to 5, or by appointment, Free Local pickup, delivery within 30 miles $50 or will ship most states for $225.00 but shipping can be higher or lower depending on the item and your location.